Do you have no sales or website visitors? Are you sure that you advertise your products to the right people? Let’s do a target audience analysis and check this out! Who is your target audience? Who is more likely to buy products from you? If your answer is something like “I’m going to sell my products to everyone” or “I don’t limit myself to any groups of customers”, I have some bad news for you. If you target everyone, you target no one. Without knowing your target audience it will be impossible to effectively run your eCommerce business and earn lots of money. The solution is simple: perform a detailed target audience analysis and enjoy your improved results! And we’ll tell you how to do it right. Your target audience is a group of people who might be interested in your products or services. As a rule, these people have similar interests, they’re about the same age and of the same gender. To define target audiences, business people usually perform a target audience analysis. In simple terms, it means investigating the behavior, preferences, interests, location, demographics and other aspects of a specific group of people. The more elements you’re taking into account when defining your target audience, the more narrow it is. For example, if you sell extremely expensive men’s suits appropriate for the red carpet, your potential buyers are most likely to be rich well-educated men living in the First World countries and regularly visiting social events. As you can see, this audience is really narrow. Knowing your target audience is a must if you’re going to be a high-flier in the eСommerce business. First, you will clearly understand who really needs your goods. Therefore, you will appeal to your potential customers more successfully. Let’s say you sell educational books and your target audience consists of students, teachers, and academics. Although all these people are really interested in your products, you need to divide them into groups and promote your store with different pieces of content. The marketing strategies that make sense for students may not work for teachers, and vice versa. Secondly, knowing your target audience helps you allocate your resources properly and keep within your marketing budget. This way, you will only spend your money on the right people and the suitable marketing tools. For example, if you know that your audience is over the age of 45, it’s better to promote your eCommerce store on Facebook than on Instagram. According to the data, in 2018, more than 35.4 million U.S. Facebook users were between 45 and 54 years old, whereas only 9% of people in this age group were using Instagram. Besides that, the knowledge of your target audience lets you be more competitive and increase your conversion rate. How to perform a target audience analysis? Once the importance of knowing your target audience is obvious, let’s learn how to do a target audience analysis and understand your clients better. Here are 3 effective methods that we usually use. To find out what your potential customers look like, we recommend you to create the so-called marketing persona. This is a representation of your ideal customer based on your suggestions and the data you collected about your existing clients. Actually, there are 3 ways to create a marketing persona. The first one is doing a survey of your real customers. You need to prepare a list of questions for your buyers, place it in your blog or email series, and ask your customers to answer them. Explain it to your subscribers that this information will help you make your eCommerce store better and more relevant to their needs. As a rule, most people are ready to help others, so feel free to ask them for a feedback. The second way to create a marketing persona is to do a research online. We advise you to think about the websites your potential customers may like, visit them, and read comments. People often write lots of valuable information when discussing something online, so you just need to find it and take advantage of it. Besides that, we recommend you to register on your niche related forums and blogs. This is also a great source of information. As for the third way of creating a marketing persona, it is a bit risky. You can describe your perfect buyer on your own, using only your suggestions and relying on your intuition. However, we strongly recommend you to test your assumptions after a while because you may have a wrong idea about your potential customers. According to statistics, the use of marketing personas makes websites and marketing campaigns up to 5 times more attractive to customers. Google Analytics is a great source of information and you definitely need to use it when doing a target audience analysis. There are 3 key areas that we focus on when looking for people who matter to our business. Google Analytics can give you a clear picture of what age and gender your audience is. This way, you will better understand who visits your website and what information is important for them. For example, if you sell clothes and your audience mainly consists of young women, you can add more articles of female clothing to your product offer. The Interests report in Google Analytics provides insights into visitors’ preferences, tastes, habits, hobbies, and more. These details will help you see what topics your website visitors are interested in. Therefore, you will be able to create the content that will be the most valuable for them. Knowing where your customers are located is helpful because of 2 reasons. First, you will learn what languages your website visitors speak, and plan your marketing campaigns accordingly. Secondly, it’ll make you aware of the different cultures you are addressing. For example, it’s probably a poor decision to congratulate your customers on St. Patrick’s day if they live, let’s say, somewhere in the Commonwealth of Independent States. The last way of doing a target audience analysis is using Facebook Insights. For example, if you see that your subscribers prefer videos to other types of content, it’s better to focus on creating videos rather than on placing photos. What’s more, you can see there insights about your Facebook page’s followers, recommendations, previews, etc. This information will definitely come in handy if you want to meet the people who will love your business! 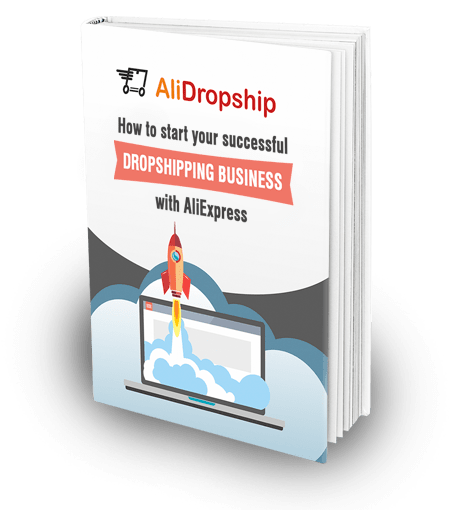 Target audience analysis is the key to your dropshipping business success, and it definitely should become a part of your marketing strategy. 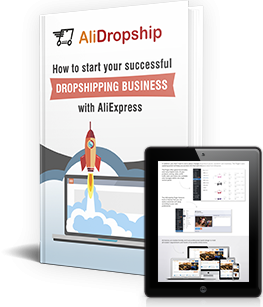 Regularly use these ways of defining your target audience and you’ll open up new horizons for your dropshipping business! I will like you tou help me to create persona for my marketing strategy is that something that you can help me with? Hello, first of all, thank you for your question! I’m really sorry, but I can’t help you out with creating a marketing persona because I have lots of things to do.